What? Demolish a swimming pool? It may sound ludicrous to some people, especially as we peak into the heat of summer. Nonetheless, there are reasons homeowners consider swimming pool demolition – anything from no longer using it to it becoming a hazard. Before you demolish your pool, you’ll need to know the steps to take to get it done efficiently, economically and legally. You’ll need to obtain a demolition permit from your town or municipality. The contractor should be able to get this for you. Next, the pool will need to be drained. Any electricity feeding the pool lights, pumps or filters must be turned off. If you have a gas line for a heater, the gas will also need to be turned off. The contractor will inspect all of this before beginning the swimming pool demolition. Now, it’s time to sit back and watch the action. The demolition team may use any number of methods to break up the bottom and walls of the pool. A backhoe is brought in to remove the concrete and any steel reinforcements from the pool foundation. These materials are loaded into a dump truck and hauled away for proper disposal. Once all the materials are gone and only the dirt hole remains, the hole will be filled with soil and sand that the contractor will bring in by dump truck. The demolition contractor should know the soil and fill with the appropriate grade of new soil so that vegetation can be grown over the hole. The last few feet of the hole should be filled with top soil that will encourage growth for a lawn or garden. The contractor should grade the hole to the level of the rest of the lawn, then seed and straw the area to begin the process of growing new grass. 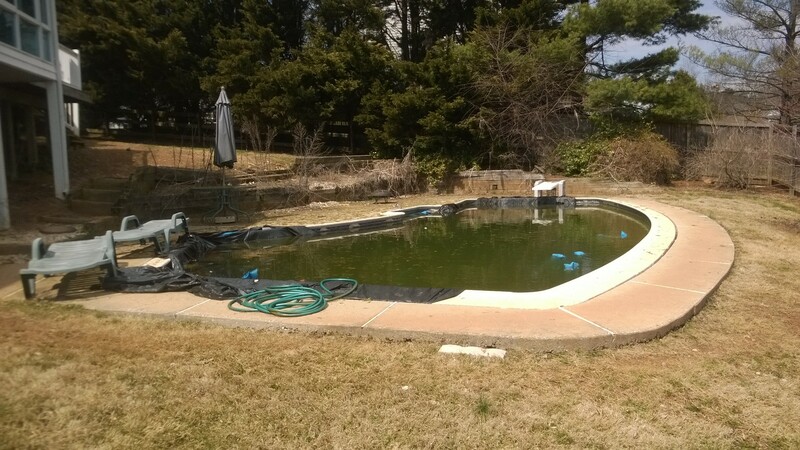 By the end of summer, you’ll have no signs of that pesky pool, and you’ll be rewarded with a spacious, green lawn.